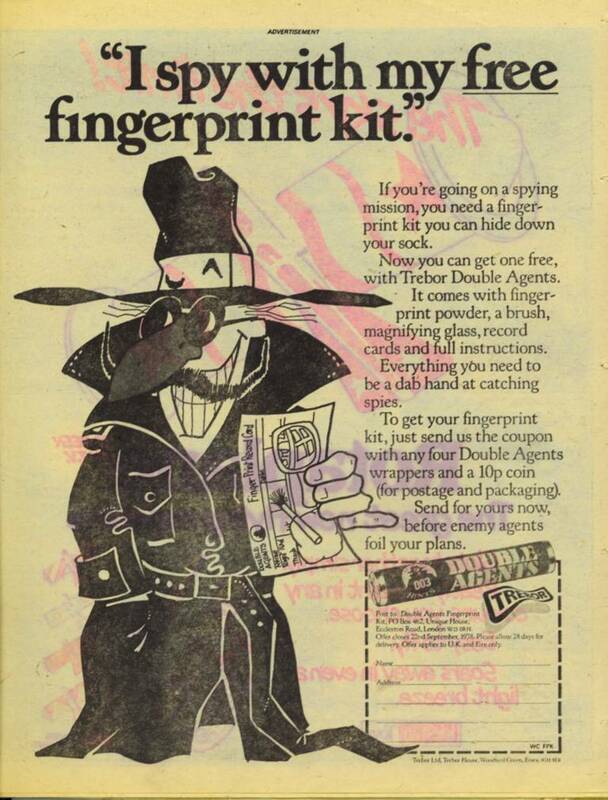 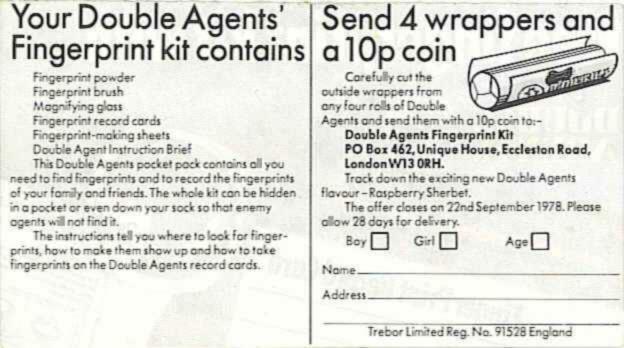 The fingerprint kit, released in mid-1978, was the first Double Agents offer. 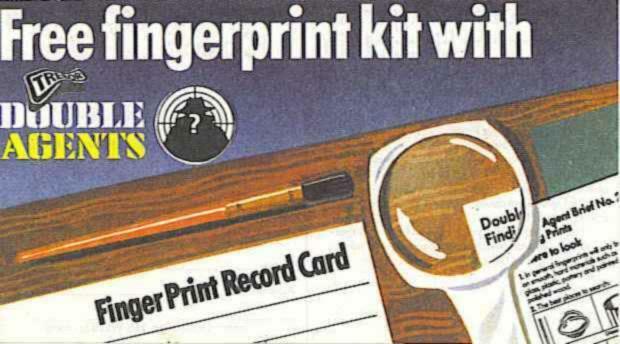 It consisted of record cards, a magnifying glass, powder and brush. 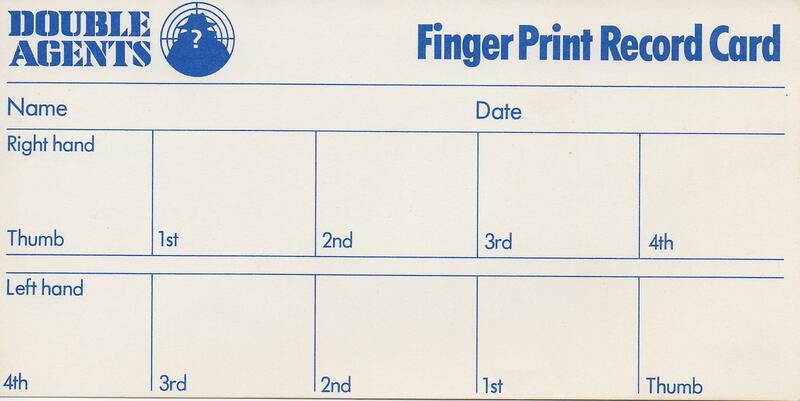 The fingerprint kit instructions, front and rear. 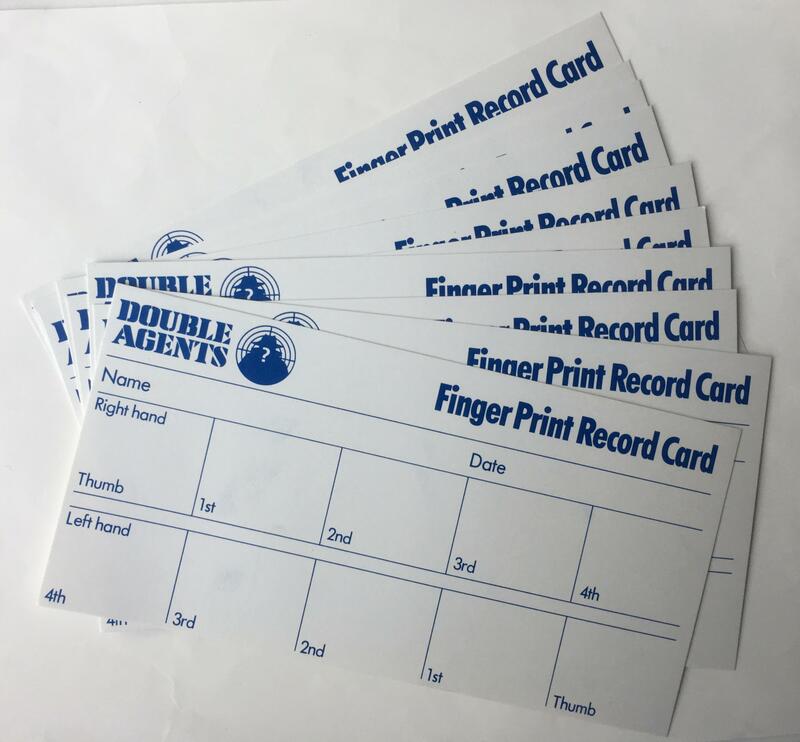 This is the record card. 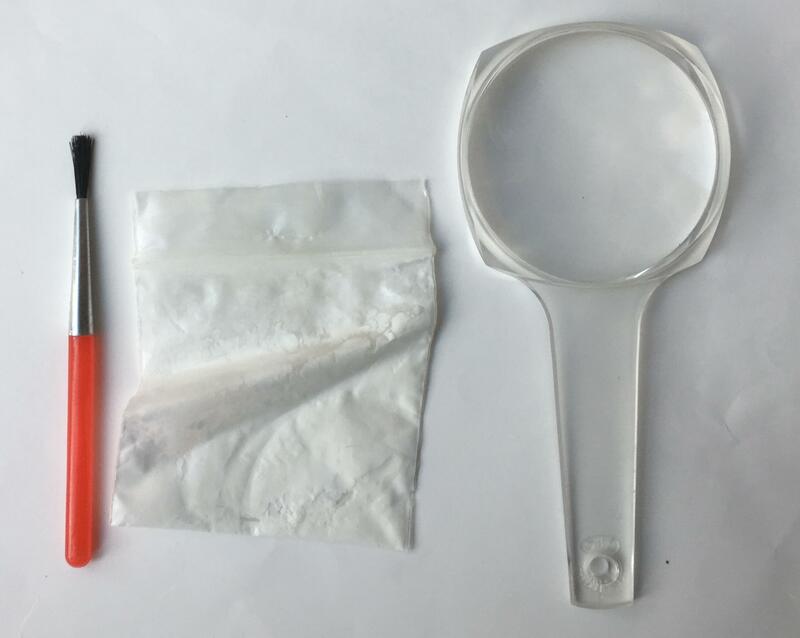 Here is the magnifying glass, powder and brush. 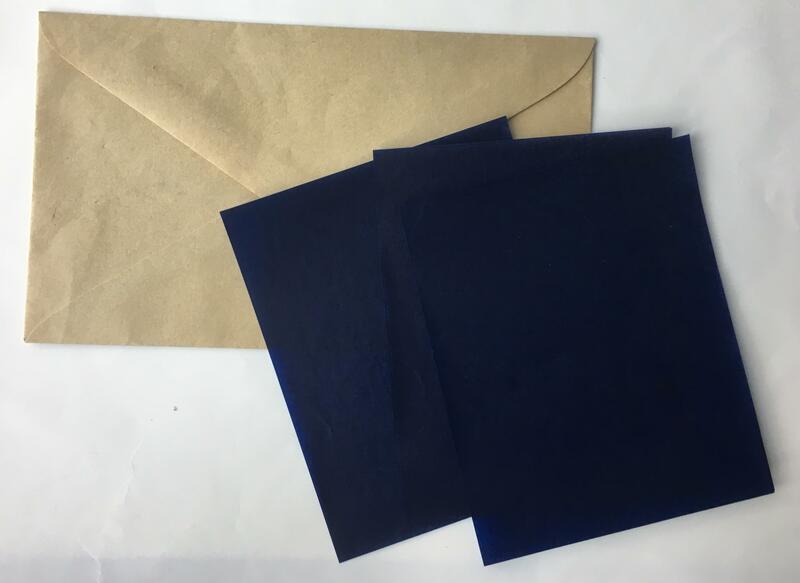 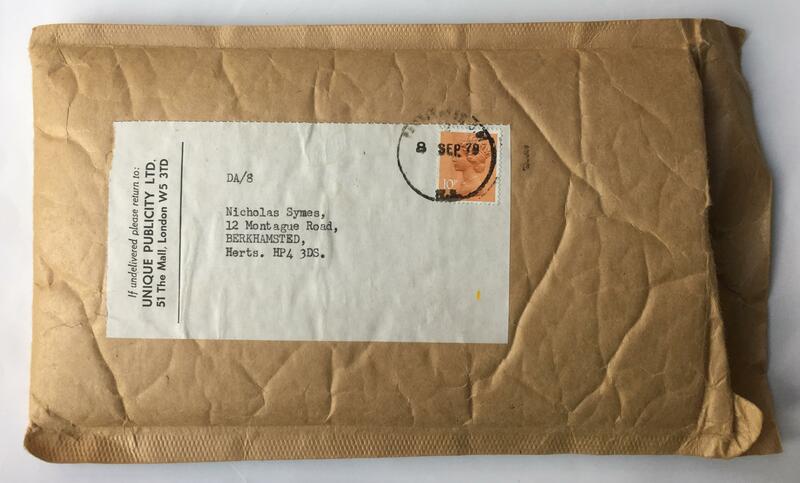 This is padded envelope in which the kit came. 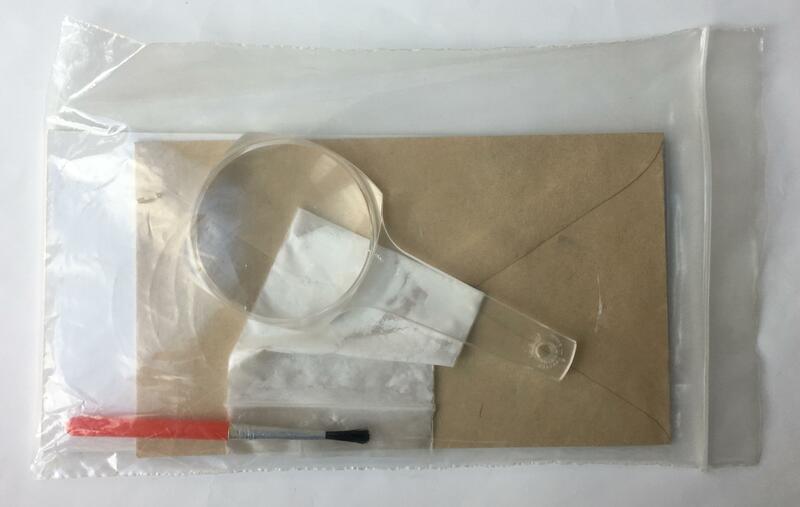 And here is the kit, as it appeared on removal from the envelope.